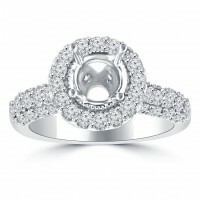 Brilliant pave-set diamonds and milgrain edging dance along the 14K white gold band in this romantic.. This 2.00 Ct. 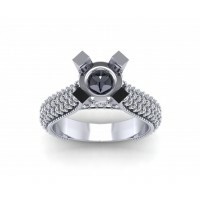 Round cut diamonds surround the center stone and flow down the shank to create a ..